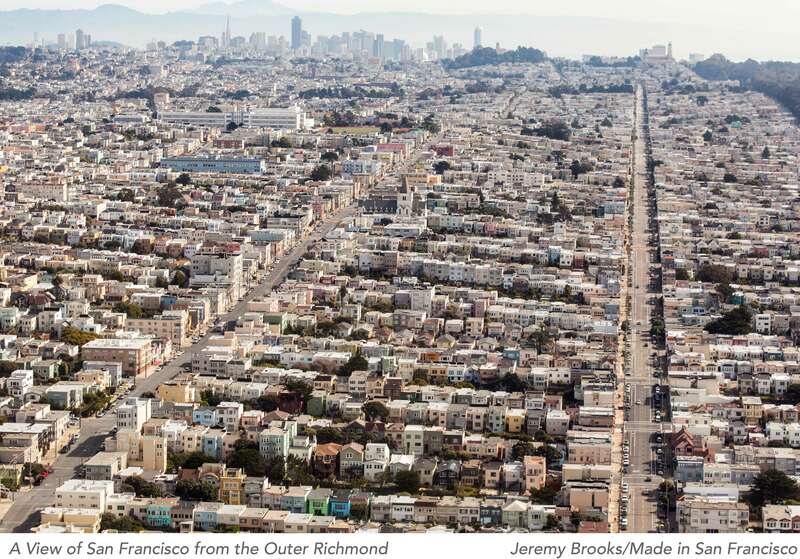 Housing affordability in San Francisco has reached a crisis point. With rents and home prices spiraling upward since the Great Recession, there has been no shortage of policy proposals envisioned to alleviate the city’s affordability problem. This analysis is the first to evaluate these proposals alongside each other using a consistent and comprehensive method to gauge their impact on affordability for individuals and families. 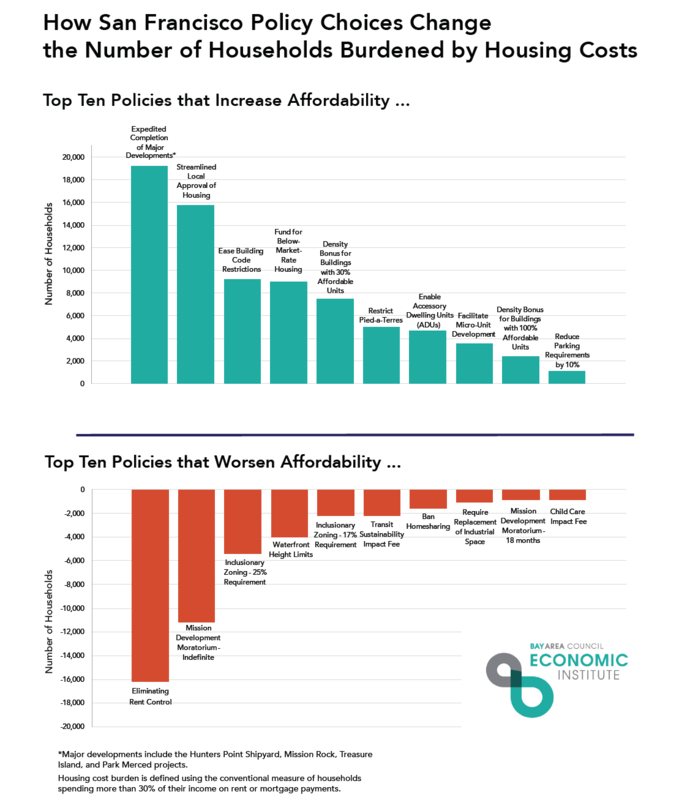 To help policymakers focus on real solutions to the housing crisis, this report compiles a list of 20 housing-related state and local policies—some that have been implemented and others that have only been considered—and analyzes their impacts on net affordability, measured in the number of households that move above or below a 30% housing cost-to-income ratio. Demand for housing in San Francisco continues to intensify as the city produces jobs and economic growth at a rate above the national average. Employment in the city has grown by over 123,000 from 2009 to 2015, an increase of 22%. And in 2015, the San Francisco metropolitan area grew its gross domestic product by 4.1% while other U.S. metros averaged 2.5% growth. While demand has been the leading cause of high housing costs in the city, we show that state and local housing policies also have considerable effects on affordability. The Obama White House has called out the importance of housing policies that provide affordable housing for working families. It recently released a toolkit primarily aimed at breaking down barriers to new housing construction. Increasing the supply of housing, through completing large planned housing developments or reducing administrative barriers to creating new homes, drives the largest gains in affordability. There is an immediate impact of such policies and that impact grows over time. We estimate that expediting completion of four major planned housing developments would create affordability for 19,154 households and streamlining local approval of housing would create affordability for 15,763 households. In both of cases, reduced housing cost burdens are associated with lower overall prices as a result of expanded supply as well as the creation of below-market-rate housing. The type of housing supply that a policy creates is critical. 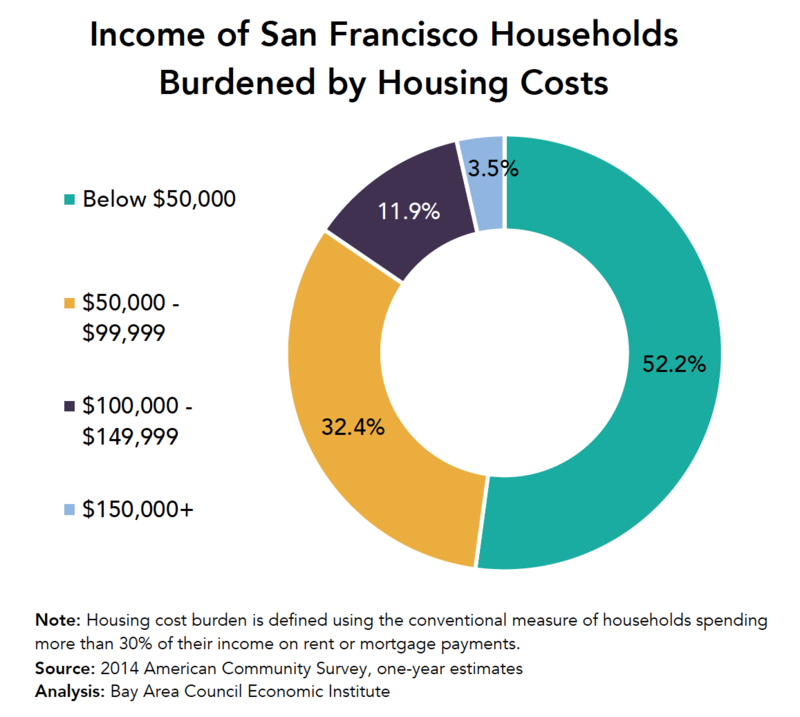 Supply alone will not help the most vulnerable San Francisco households. Units that are explicitly rented below market rates or that are affordable by design (e.g., micro-units) contribute directly to a lower housing cost burden for the families that reside within them. Rent-controlled apartments are another source of often below-market-rate housing supply. Eliminating rent control in the city would move 16,222 households out of affordability. Income effects must be considered. For example, homesharing may remove a small number of units from the long-term rental market, but this effect is swamped by the number of people who derive income from these rentals and hence are themselves able to achieve affordability. Banning homesharing, therefore, would be a net negative and create 1,556 more San Francisco households that are cost burdened. Similarly, enabling accessory dwelling unit (ADU) construction unlocks rental income opportunities for homeowners and promotes affordabilty by creating both new housing supply and new income streams. Some policies intended to increase affordability have the opposite effect. The practice of requiring market rate developments to include a certain percentage of below-market-rate units is a dangerous game. Set the percentage too high and the city ends up with fewer total units, which drives up costs for everyone. The San Francisco market is strong enough that it can sustain this approach of taxing housing to produce housing, but an increase of the inclusionary zoning rate to even 17% will create a housing cost burden for 2,196 households. The lack of housing affordability results in more than just San Franciscans paying high percentages of their income on rents and mortgages. It causes families to be pushed out of job markets in search of affordable housing, increases displacement, and impacts the environment by elongating commutes. A more comprehensive measure of affordability would include transportation costs as well, so moving far away from a job is not a good solution. Policy choices can play a critical role in housing affordability. We have identified policy benefits, trade-offs, and unintended consequences—all of which should be carefully considered as the city works to address its housing affordability crisis.